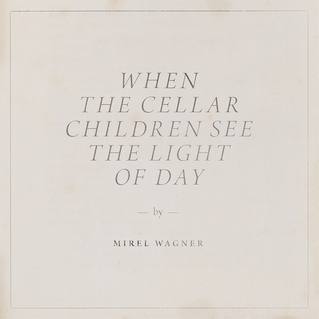 I had drafted a review of Mirel Wagner’s “When The Cellar Children See The Light” but let it lie because BDWPS‘s review says almost everything that I wanted to say about this stunning album. In my opinion, one of the top albums not just of 2014 but ever. Two years ago, Mirel Wagner emerged from Finland like a haunting ghost, bringing with her the sparse, folk storytelling that had long been forgotten. Her songs told darkly disturbing fairy tales of death and decay, all conveyed through only her raspy, alto voice and the soft strumming of her guitar. Her approach seemed simple enough, but the combination of the lo-fi production and Mirel’s hypnotic melodies resulted in one of the best folk albums of 2012.